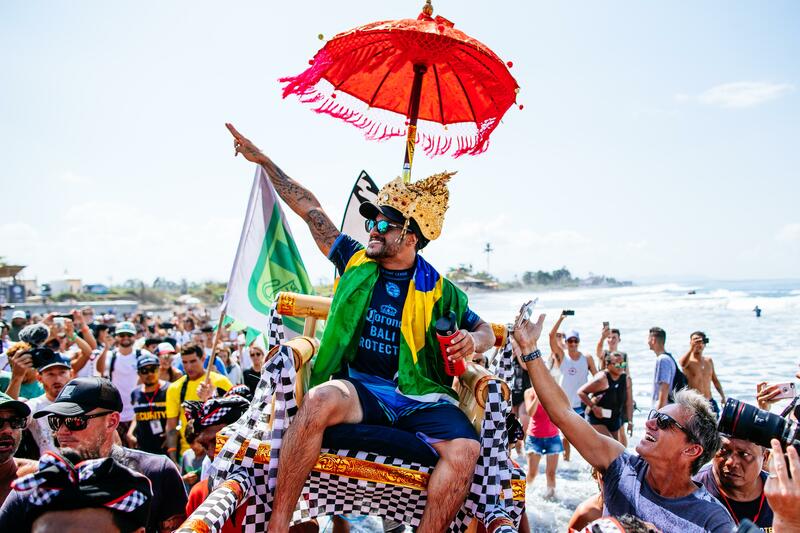 The world’s best professional surfers will return to Bali for Stop #3 on the World Surf League Championship Tour for the 2019 Corona Bali Protected. The event window runs May 13 - 25 at Keramas, a wave known to offer a mixture of intense tube rides, powerful open-face carves, and massive air opportunities. Beach access is free and open to the public for event viewing. VIP travel packages and daily experiences are also available here. Fans now have the exciting opportunity to experience Bali from an insiders’ lens with VIP Experiences and Travel packages at the Corona Bali Protected. Luscious waves. Black sand. Tour the island, stay in style, and soak in all the culture of this magical land. Personalized service. Beachfront pool suites. Champion-side viewing. Check out the below pass offerings and reserve now. Choose your day. Choose your adventure. Join the waitlist for each day you're able to attend. Through 'waitlisting,' you will pre-purchase Daily Atlas Passes for those days. If we don't get called ON because the waves aren't pumping, your card won't be charged. If we do, your payment will be automatically processed as soon as the call is made, and you'll get a notification to come down to the site for an epic day of surfing! Purchase The Atlas Pass (Full Event) for VIP access to the event every day it's ON - plus special experiences just for Atlas Pass (Full Event) holders!